You’re probably sick of hearing it. Create a course! Passive income! Stop working and retire in Ouagadougou! What they don’t tell you is how hard it is to create a course — not just making one (sure, you have ideas…) — but once you have your course, how do you know anybody will want to buy it? It turns out, there’s a critical step BEFORE you create an online course: One that will guarantee that you have your finger on the pulse of your target market. So you KNOW you’ll be making something people will want, more than they want the stuff clogging up their Amazon wish list. And the beauty of this critical step? It allows you to get *paid* to do your research. This secret sauce is consulting. No matter where you’re building your authority — fashion, food, faith, teaching third graders, writing better — as long as you can identify at least one problem people need help solving, you have a viable way to make money. Why should you offer consulting, as opposed to finding *another* spot to stick an ad code on your site? Sure, place an ad on your site, and you’ll probably make money…but you’ll have to wait for it. As in, at least 30 days from first “click” to first “cha-ching” actually hitting your bank account. When you offer a consulting session and someone buys, however, the payout is instant: they buy a session, and that VERY MOMENT PayPal sends you a love letter notification that there is now cold, hard cash ready for you to spend. Boom. TWO. Deep customer insights and a connection to what she needs. I’ve seen *way* too many people launch their products and have no one buy. And yes, sometimes it’s because they didn’t understand how to sell their offering well…but more often than not, it’s because their offer didn’t RESONATE with the customer. They made something nobody wanted…or at least, not bad enough to pay for. When you get on a consulting call, you can develop a deep understanding of what motivates your customer, WHY they need help, what they’ve tried before that hasn’t worked, and — you’ll see — in the natural flow of the call, you’ll come up with a handful of ideas for products that are WAY better than any you could have dreamed up on your own. So if you’re moving your business in the direction of products or courses, these customer insights are worth their weight in gold. AND you’re getting paid as you do your research. For example, when people come into my business, they’re often frustrated because they don’t have enough traffic. They’re bleary-eyed from looking at Google Analytics, wondering...How do I make that little page view line go UP? Now, If I just “took their word for it” and started teaching traffic-generating tactics, I’d be missing a HUGE concept! 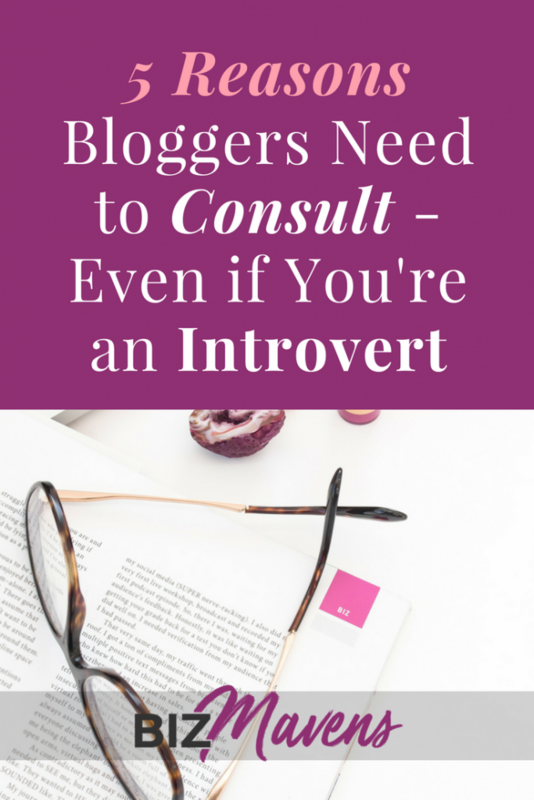 Because even after consulting with just a few bloggers I discovered that most bloggers don’t really even HAVE a traffic problem! That’s just a symptom…and it’s actually something else instead! Why would I, as a leader, waste time trying to treat the symptoms, when I could help them cure the disease? And so I’ve been able to develop an entire program around helping bloggers build the strong brand + business foundation that leads to more traffic, but it *also* cures every other symptom they were having. You can’t BUY those kinds of insights, but I developed them while people were paying to consult with me. And that can happen for you, too. THREE. Consulting builds your authority. Wait a minute — I thought you had to BE an authority to offer consulting! When that person is surfing Google or Pinterest, looking for how to solve that problem, she WANTS to find someone with answers — someone who can help get her to her goals. She may land on your article about “3 Simple Steps to Decorate Any Room,” but let’s face it: there’s only so much you can DO with “free” information written to everybody on the Internet. If she feels like she has a particularly tricky situation, she needs help. Following this home decor example… What if she has a chimney right in the middle of her room? Or walls she can’t paint? Or she sees TONS of beautiful pictures on Pinterest of gallery walls, but has NO IDEA how to use THESE DANG PICTURES that are scattered all over her floor? She doesn’t want to just frown every time she walks by that trouble spot…but what else can she do? And — queue the angel chorus — she sees a glimmer of hope, because she’s all THANK YOU, JESUS, I DON’T HAVE TO SIT IN AN UGLY LIVING ROOM I HATE ANYMORE! When someone sees that “Work With Me” link, she’s not thinking…I wonder where this woman got her degree in interior decorating? She’s thinking…can she help me? …Can *I* get the room I want?? When you offer a service to help people solve their problems, it automatically boosts your authority and credibility, and that makes other people SO much more comfortable buying your products in the future. Not only that…but if you show signs of authority (like consulting), the casual readers that pop over from Pinterest are MUCH more likely to recognize that you’re someone worth following. So they’re more likely to subscribe, follow, and become your readers instead of someone else’s. FOUR. You can stop letting people “pick your brain” for free. She’s that woman. You know the one. You respond to *one lousy email* answering her “quick question” and end up chained to a person who seems to “need” your advice like she needs oxygen. Now, answering your readers’ questions is a key part of the process of building trust with your readers…but that doesn’t mean you should always do it for free. In fact, you’d be dismayed to find out that so much of the advice you dish out for free goes completely un-taken! As in, they get the email you poured your heart and soul into writing, have a BRILLIANT light bulb moment…and then promptly do nothing at all. We don’t value what we don’t pay for. It’s a simple fact of human existence. BUT on the other hand, by simply HAVING a sales page with a “buy” button for your consulting sessions, you’re helping people value your time more. FIVE. Consulting grows your confidence as someone who can actually help people. If you don’t already FEEL like an expert…welcome to the club. The deeper you get into your subject area — the more you know — the more you feel like WOW, this is a whole lot more complicated than I thought! The good news? You don’t have to be an expert to offer consulting. You don’t have to be a sub-four-hour marathon runner. If you’re running at all? You’re lapping the people on the couch. Help people get off the couch. You don’t have to be the World’s Leading Fashion Expert. If you can walk out the door looking polished and put together? You’re doing better than those of us stuck in yoga pants. Ahem. And you don’t have to understand Everything There Is To Know about your topic…just listen to the person on the other end of the phone, understand her situation, and help her take that next step. Because she’s STUCK (or she wouldn’t be writing you in the first place). Just help her get un-stuck. …And you’ll find that every minute you spend on consulting calls is a minute you’re NOT spinning your wheels, but actually building your experience, your confidence, and your business. Now…what kinds of tools do you need to get started consulting? We’ll talk about that soon. So if you’re not already getting my Biz Maven emails, make sure you’re on the list (below), and I’ll let you know the moment that’s ready for you. What questions do you have about consulting? Let me know in the comments and I’ll do my best to help. My biggest struggle is getting my audience to pay for coaching. I’ve been a life coach for 5 years and no matter what I do I get hit with “I can’t afford that”. Yes they want to work with me but the cost is always the thing that stands in the way. It seems anything over $30 is a no go with my audience and obviously I need to make sure I’m actually being paid what my time is worth. I guess that’s my long winded way of asking how to get paid what you’re worth? There’s definitely a lot more to say about this, LaToya, but part of “getting paid what you’re worth” is how you’re positioning yourself and choosing areas to focus on that are WORTH people paying for! For example, if a lady has a problem that’s only *sort of* bothering her, she won’t take the problem (or herself) seriously enough to invest in. But if you can uncover the MUST-solve problems that are truly holding your people back from their goals, the ones that are truly pain points they’re aware of, they’ll be willing to pay a lot more to solve those problems. You’ve given me some great direction with your question, LaToya. Thanks! Oh Hi me- Introvert in the way back…barely raising her hand 🙂 What are you thoughts about teaching someone over skype? Such a physical skill? Doable? It’s definitely doable, Heather — the technology is there, for sure. With a niche as specific as baking, what are the answers people are giving to your Golden Question that you could create a service around? So for my golden question..it’s always very specific such as “Decorating (my desserts). Pies. Flat cookies” etc. So that’s why I was thinking of consulting in the way of offering a LIVE one on one baking class. So how do you know if your audience will pay for this? In other words, how do you introduce your possible consulting services? This is a place where I’d probably try teaching a live workshop locally *first* and then see how that translates to 1:1 consulting. Back when I had an herb business, I used a room (kitchen) in a local church, but there are tons of places that have space for this! Libraries have rooms you can use, and depending on where you live, you can sometimes find a local “event space” that hosts events. Here’s an example of one that’s close to me. Totally hijacking this… Jeni… you had an herb business? I want to hear about it sometime! The biggest obstacle I have re: consulting is figuring out the details of charging $ for help. Do I set up a payment page, etc.? Do I informally charge and accept $ via paypal/e-transfer? Such a good question, Rebecca! There are lots of ways to do this, but you need to do the one that’s going to help you start consulting the *quickest* so you’re making money, and then you can circle back to finding a more “perfect” solution. You need a sales page so people understand the *value* of what you’re offering, but for the checkout, you can simply use a button attached to Paypal! I have a lot of advanced technology behind Biz Mavens here, with the courses I offer, etc., but even after 6 years consulting, my 1:1 sessions are still just connected to a Paypal button. You can see my coaching page here for an example. I’ll definitely write more about the tools (most of them are free!) you can use to run a start-up consulting business. Thanks for your question, Rebecca! I have been struggling with ideas for a product for a YEAR! Consulting to find out the problems my readers have sounds like the perfect way to figure this out. My only problem is that Im a food blogger. I give away my recipes for free which is the nature of the beast 🙂 What the heck would I consult about??? Hmm…well, you’re a Blog Smarter grad, Julie: What are they saying when you ask them the Golden Question? Tell me, and we’ll brainstorm here! I do consulting, and you are right! It gives you a great perspective for understanding what your target market needs and wants (not always the same). Wow, I feel like you wrote this for me! I give advise and do research for people all of the time for aroma therapy, skin care and general health/home remedies. The idea of doing consulting has crossed my mind but then I don’t know where to begin or simply talked my self out of it. But my light bulb just came on, thanks to you! So how would I transition into being a consultant? I know that is a very broard question but that is what comes to mind. Please forgive me for misspelling your name Jeni B…. Your first step is to develop a Focus Offer — ONE specific thing you can help people with. ONE problem they’re having that you can help them solve, or take a successful first step. Once you decide that, it’s a matter of creating a sales page that helps people understand the value of working with you and getting that problem solved. And then, every time you write about those topics, you can be sending your readers to those services. It comes down to carving out a very specific focus offer first. Thanks for taking the time to ask your question, Ayanna! I have lots more planned to write about re: consulting this summer, and you’re giving me some great direction! Consulting with a tangible outcome makes sense to me (as in the decorating example). But if someone wants help with their marriage, or changing the way they think… the end result depends a lot on what they put into it. I’m just having a harder time seeing it as a 1 hour consulting session (and DON’T want to get into year-long marriage counseling with someone). I wrapping my brain around it some, but would love your insights. Certainly in 1 session you’re not going to solve all their marriage problems…but could you, in 1 session, help them figure out exactly which problem area they can tackle first, and point them to some great resources? It’s likely that a single session won’t be a large-scale fix for your people, Kendra, but even a 3-session package (if it’s focused enough!) can help get your target Superfan un-stuck! This is something I’ve wanted to do for several years. I think LaToya’s experience (above) mimics my fears on coaching/consulting… “I can’t afford that.” It feels like a catch 22 for me. I very much would like to at least try it (and I am through offering a personal coaching level this time around for my course) but am still nervous about offering something, pricing it too high, and getting only, “I can’t afford that” feedback… where do I go from there? Lower the price? Stick to it and wait and pray? Convince them of their issues and maybe they still can’t afford it but feel more stuck? Start out with a low price, get clients, but feel like crying because I’m working really hard for $3 an hour? I hear you, Jennifer. The struggle is real! 🙂 I think you’re adding in a lot of what-ifs before you’ve given it a fair shot. In your case, you would want to be as specific as possible with your offer. Not just “Help me become a better homemaker,” but pinpoint an area your existing students already struggle with, where they’re asking for help but you simply can’t give that level of personalized attention in a group program or course! It may be taking some of the material you’re already teaching and zooming in to a specific area where you’re finding women need help actually implementing. The more specific your Focus Offer, the better. I can totally do that. I still don’t know what to charge. 😉 Do I really have to wait until September for KYC??? Why do you recommend Skype? Would Zoom work just as well? Hi Robin! Zoom is a great option as well, especially because of the “Record” feature right out of the gate. The one reason I like Skype over Zoom is because you can drop files right into the chat box to quickly share computer files + documents back and forth. But they’re both great choices when you’re just starting out. Wow! This may be a solution for me, as I’m in my 6th decade with much knowledge that sometimes requires stamina and dexterity. After creating some large projects lately, I realize my body can’t do it anymore, but I could share my “how_to” information. As the “queen of introversion”, teaching classes seems like a painful idea, yet could be possible if I can overcome the fear. However, “one on one”, might be a doable approach, allowing me to save some “diy” headaches for my clients. Even though my main area is creating paintings, I have years of experience in professional picture framing and floral designing. This could be a fun way of keeping interested in these evious fields of interest without having to do the physical work. It would certainly help in between the painting sales. You’ve given me much to think about….. I can see the wheels turning, Sheila. 🙂 Even introverts can overcome the discomfort of working 1:1 with people if you focus on the fact that they’re not really analyzing YOU — they really need help themselves and see you as a mentor who can help them. Just keep your eyes on the person you can help best. My biggest struggle is that my site is health-based. When it comes to dealing with health related issues, it worries me that I won’t be able to answer some of my clients questions (especially because the type of people that flock to my site like to load me down with medical information). I know you said that it doesn’t matter if we have the certificate, but it does worry me as far as a liability issue + not having the vocabulary to answer them properly. Dealing with food sensitivities can be so delicate, and I would feel awful if I mislead them, which is why I’ve tried to keep it light with recipe ideas and generalized info. But I like the idea of consulting and even group consulting! So the place to go here, is when you develop your Focus Offer. What specific problems will you help your Target Superfan overcome? You’re not going to touch *diagnosing* her with a 10-foot pole. BUT I’m imagining a scenario where she’s coming to you after realizing she has sensitivities or getting a diagnosis. There’s still a LOT of progress to be made after that, right? Like, she has certain allergies, and now she needs a way to PRACTICALLY change her diet. Does she try to cook one thing for herself and something different for everyone else? Does she find different foods everyone likes to eat? 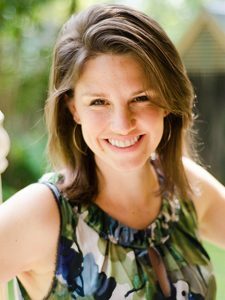 Does she try to adapt her existing favorite recipes to reflect this new food allergy issue? Sounds like an uphill battle to me! So, as you decide on your Focus Offer, look for the place where she’s having a *specific* challenge you can help her push through. Of course the day you publish this I’m bogged down in a fog of allergies and cough syrup. I’m positive I’m not asking the best questions on this, but 2 things come to mind. 1. Like you, I’d be very limited to the time I can dedicate to live 1:1 sessions. As in nap time 3-5pm cst or after 9pm. Are people less likely to pay for consulting via emails or to conform to your crazy live schedule? 2…errrr-ahem…. Nope, my cough medicine just kicked in, so that #1 is all I can remember right now. What has been holding me back is exactly what you said: not being confident in my expertise, but I can think of a very specific way to combat that now. Somewhat off topic, but how can we be prepared to properly defend ourselves against the GDRP coming down the pipeline with all this data collection? Is it more “Smart Blogger” to spend tons of time being compliant when your EU traffic is like 3%, or smarter to just block EU and call it a day? Probably worth a whole different post (and if that’s your answer, I get it), but that is what REALLY has me frozen right now from taking on anything else. Otherwise I love this post and I’m seeing an appointment with myself to read it again next week when I’m hopefully less full of Benadryl. As long as you’re forthright about your schedule on your sales page, that shouldn’t be an obstacle. You’d be surprised how willing people are to work around your schedule! If you’re already doing it for free, you can absolutely do it for a fee. Cheering you on! Hi Jeni – I’m really intrigued by this idea, as I’ve always thought of consulting as a business sector thing or health related. So my question would be how would this work for someone like me who writes on food, gardening and DIY? Most of the questions I get are about my recipes (bread, especially) and gardening – things that seem to need more of a hands-on type of thing vs. an hour call. I do have an emphasis on healthy eating and real food recipes, but how to find a focus in these areas that don’t scream “consulting” to me? Thanks for the great question, Jami! It’s definitely hard to think about consulting when it’s as broad as “food, gardening and DIY.” The key is to pick one area for your Focus Offer and then determining one place where your people are getting stuck. For example…if you were to pick gardening…is there info that your “stuck” gardeners need a little insight to get past that place? What kinds of questions are they asking you? Especially when people feel they have a “special situation,” they’re more than willing to pay someone to help them get un-stuck. Jenni, you asked, “What’s the ONE THING that’s holding you back from consulting in your biz?” The answer is ME! I’m in a tiny blogging mastermind group of 3. My two cohorts call me the “Blog Ninja” and tell me that what I do for them I should do for others “professionally.”… but instead, I crawl under a rock with my tail tucked around me. I continually ask myself and I’ve asked you, “What product can I create?” And today you stuck it right in my face… consulting. I’ve done it differently over the years in so many ways and in different venues… but not as an official “coach.” Seriously, I’m not quite sure how to do this as the people who come to my blog are not bloggers. Guess it’s time to pray and think and do some soul searching and brainstorming. Thanks for today’s nudge! P.S. Commenting here was a hard first step. My question is do I list the prices on my site or not? I’ve heard mixed feedback from others. And how to market my service strategically. I have my consulting business set up and has 2 clients last year before going on maternity leave and I’m ready to give it a go again, so your post was perfect timing. You definitely need to list your prices, Tiffany – the key is to have it in the context of a sales page that establishes the value you’re providing through your coaching and what the end result is that your client can expect. Congrats on your return to business after baby! It’s always a juggling act when you’re ramping things up again. 🙂 Cheering you on, Tiffany. I have gotten in over my head with several clients. In each case, we both thought we knew what we were getting into when we started, but then the project took on a life of its own. Typically, the problem has been a mis-match of expectations regarding what our the contract actually did and did not include … and me assuming that the client had knowledge and/or skills that they did not. So, you’ve been peeking over my shoulder, right? You saw that I put that little hotjar popup on my site and now people are asking me all kinds of crazy questions and I’m spending a good portion of my day answering those questions. Just so you’ll know, I thought that box would help me get answers to what people are really looking for when visiting my site. What has stopped me is that I have never really given it any thought until I started using this popup box from hotjar. Now, I’ve been thinking, what if I could charge people a few dollars to ask these questions, would they pay? Then there is the whole functionality of it. Could someone’s pop up question trigger something on my cell phone once they have paid and allow me to answer them right away so that I don’t have to stay glued to the computer? Anyway, it sure is interesting to think about. Thank you! Always. You ask in your popup specifically about if they’re looking for a recipe or a tip. Are you getting deeper insights through Hotjar? Or is it much more of the same? I’d be interested to know! What’s holding me back is knowing how much I don’t know, and being afraid I truly won’t be able to help them. They’ll come up with a problem I have no clue how to deal with, or they’ll ask a very specific question that I don’t even know where to begin finding an answer… and I’ll come off looking like a chump. Or they will feel like they didn’t get their money’s worth, which is worse. How can I prevent that? Or deal with it if it happens? Such a great question, Ann! I recommend having them submit a questionnaire before the call so you have time to prepare before you’re in the spotlight. Will definitely write more about this in the future! YESSSS! All the YESes to what Ann said. I know I’d need to do an intake questionnaire, but I don’t know what questions to ask in order to get the ball rolling. And I don’t want to just ask generic, non-specific questions that won’t get us anywhere. Of course, I’m also worried that they’ll ask a very good question, and I won’t have a very good answer. Overall, since I’ve never been a consulting client myself, I feel like I don’t even know what I don’t know about the whole process, from logistics to actually being helpful to those wanting my services. Great post, so helpful for me. Thanks!